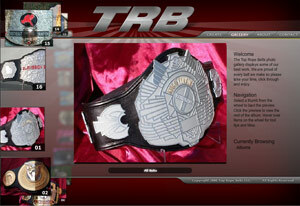 Top Rope Belts – Top of the line championship belt production company. Icon Belts latest addition to the Top Rope Belts network. 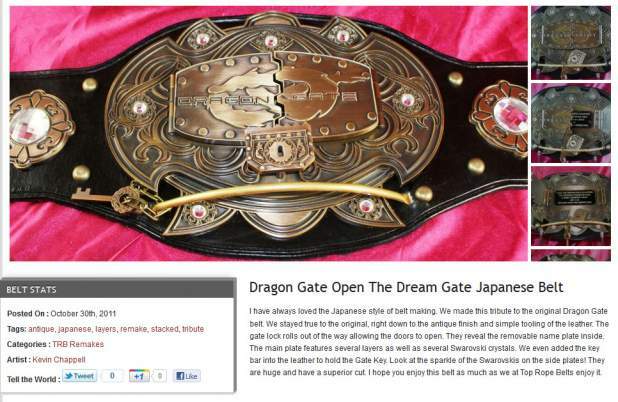 It features high quality wrestling belts for fraction of what you would pay at other championship belt companies. The site incorporates a rating system so users can decide which else they like best. This helps the site owner determine what people want to see their belt designs and make notes accordingly. In the end this leads to a better product. The site runs on WordPress and features a multitude of options that allow the site owner to manage his own website without html programming knowledge. When Randy of Top Rope Belts approached me about a new website I was excited. Top Rope Belts is a championship belt making company. They produce some of if not the finest belts in the business. The new site was a chance to build upon a tried and method business model that has worked for them for the last few years. The old site had an interactive form that let users select what options they would like on their belt and a gallery for users to browse. The new site takes this method a step further and it does it in flash. Users are now able to actually draw out ideas for their belts and submit them as quote requests. There is also a 3d photo gallery that lets them browse nearly every belt the company has made (hundreds). If you have have a minute or two head on over and check it out. The flash version of this site is no longer available but many of the features were carried over to the new WordPress version of the site.